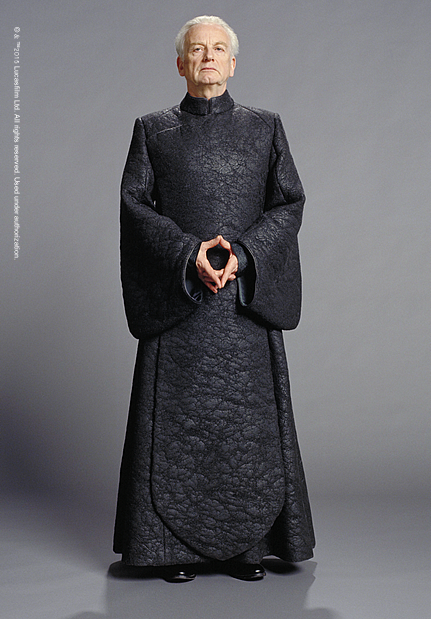 Actor Ian McDiarmid called Emperor Palpatine's Trade Federation Costume "reptilian." 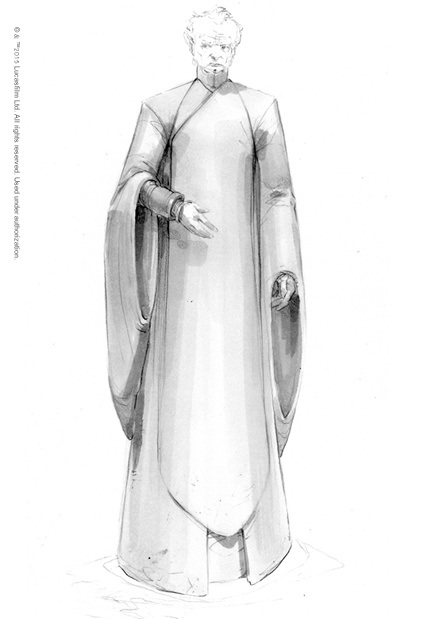 Indeed Senator (later Emperor) Palpatine's impressive wardrobe, designed by Trisha Biggar, played an important part in the development of his character throughout the films. 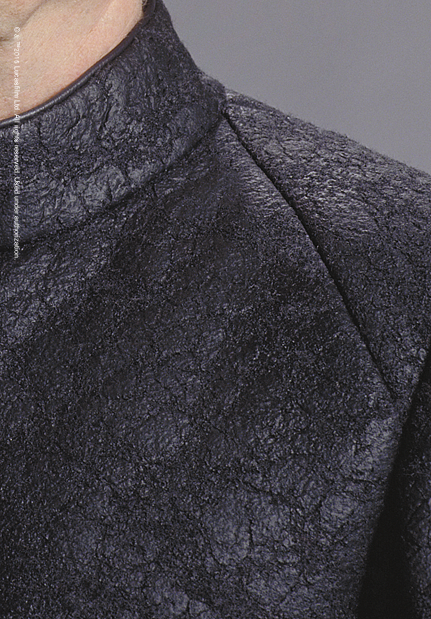 Through ornament, color, and texture, the costumes reflect Palpatine’s metamorphosis from the seemingly benevolent Senator from Naboo in Episode I to the evil, despotic Emperor.